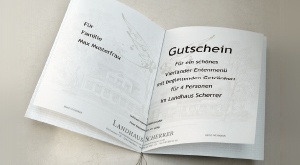 The Landhaus Scherrer is very experienced when it comes to hosting your personal event. In case you want to celebrate somewhere else, we also offer a large variety of caterings. Simply click on one of the buttons depending on your preferration.